When you turn on the tap or twist the cap, you might not give a second thought to where your drinking water comes from. But how it gets from the ground to your glass is far more complex than you might think. Is it safe to drink tap water? Should you feel guilty buying bottled water? Is your water vulnerable to terrorist attacks? With springs running dry and reservoirs emptying, where is your water going to come from in the future? 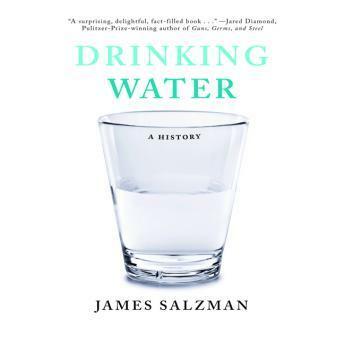 In Drinking Water, Duke professor James Salzman shows how drinking water highlights the most pressing issues of our time-from globalization and social justice to terrorism and climate change-and how humans have been wrestling with these problems for centuries. Bloody conflicts over control of water sources stretch as far back as the Bible yet are featured in front page headlines even today. Only fifty years ago, selling bottled water sounded as ludicrous as selling bottled air. Salzman weaves all of these issues together to show just how complex a simple glass of water can be.